This mod was put together for people that wish to change the skyboxes in the M4-78EP mod. Whether you want Stoney's skyboxes for the nostalgia or if they find the alternate skyboxes are cooler – you now have more choices. This consists of the skyboxes made by Quanon for his 2008 M4-78. If you’re looking for have your M4-78 resemble the way it looked in Stoney’s original M4-78 mod, this is the one for you. This consists of the skyboxes intended to be used by Obsidian before M4-78 was cut. Curious about what the Sleheyron skybox looked like? This’ll be your choice. 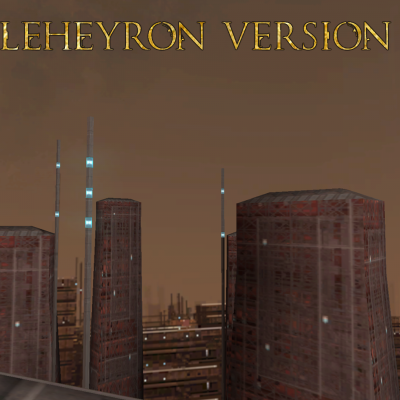 The original Sleheyron skybox had no ceiling so Sith Holocron had to cobble one together. 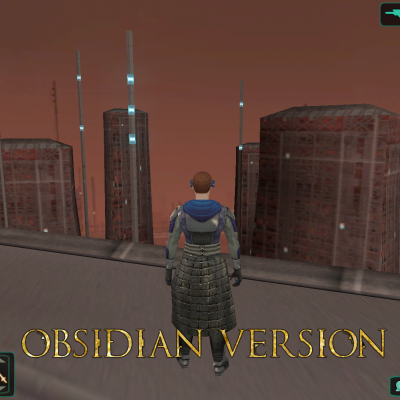 Before you mention it, technically removing following files () from the Override will make the original Obsidian skyboxes from the mod appear. Its inclusion is mainly for simplicity’s sake. As for the Sleheyron version of the skybox, things are not so simple. As these files (with the exception of the ceiling texture) come from Knights of the Old Republic I, you’ll have to do some renaming of the files in the “Sleheyron Version” folder before you drop them into the Override. This mod shouldn't have bugs but if you encounter any, just PM me (N-DReW25) on Deadlystream. This mod is incompatible with anything that edits the skybox textures for M4-78 EP. This doesn’t include textures that change the skybox as viewed from inside the Ebon Hawk. Do NOT claim credit for this mod, as that would exceedingly rude. 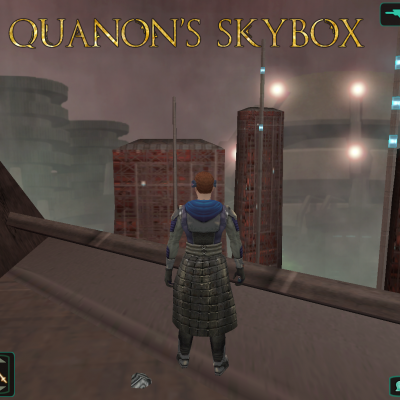 If you want to use Quanon's M4-78 Skybox in your own release, please contact the original author Quanon for permission. Obsidian for not deleting all of M4-78 – or at least making it recoverable. Stoney for making the original M4-78 mod. Quanon for making the skyboxes for the original M4-78 mod and for his permission to include them here. Hassat Hunter for his continued work on the EP. THIS MODIFICATION IS NOT SUPPORTED BY BIOWARE/OBSIDIAN ENTERTAINMENT, LUCASARTS, DISNEY OR ANY LICENSERS/SPONSORS OF THE MENTIONED COMPANIES. USE OF THIS FILE IS AT YOUR OWN RISK AND THE ABOVE MENTIONED COMPANIES AND/OR THE AUTHOR IS NOT RESPONSIBLE FOR ANY DAMAGE CAUSED TO YOUR COMPUTER FOR THE USAGE OF THIS FILE. Updated the readme to display the correct information regarding the M4-78EP Skybox creator.